A lighter and more compact all-round lantern. 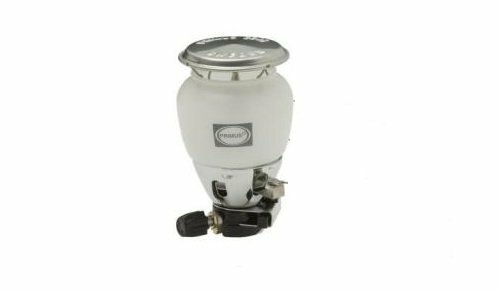 Primus patented quiet burner guarantees soot-free operation. Corrosion-resistant and maintenance-free material: threads are made of brass to withstand wear. Convenient piezo ignition and variable light output control up to 80 W. If you want to see how long the easylight will burn, you will have to stay awake for almost 24 hours. Features: Output: 80 W Weight: 6.9 oz Dimensions Folded: 2.7" x 4.4" One of the lightest and most compact lanterns in the world. Patented Primus burner with almost soundless operation Piezo igniter and adjustable light output control up to 80 W Aluminum and stainless steel construction with brass threads Transport box and hanging device included.